We wish all of our friends near and far the happiest Christmas Eve! From all of us at Totally Kids fun furniture and toys. Who’s ready for a long winter’s nap? Tonight’s the night folks. Well, that’s if you are here with us in the Northland. 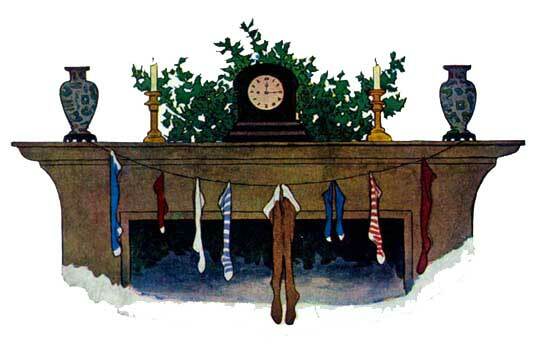 The winter solstice begins today, December 21, 2018 at 11:11 AM, a day with only 8 hours and 46 minutes of daylight; therefore offering a very long winter’s night for napping. Climb into our Metra Mid-High Loft Bed, Many other stairway beds are available for dreaming. A big bookcase captains bed offers storage space as well as slumber. The Ravenswood Big Bookcase Bed is an all time favorite. Somehow families visiting the Totally Kids showroom always end up chilling under the Boone Sleeps 3 or More bed. The futon folds down into a double bed. Many other styles are available for sleeping more than 2 children in a room. Your kiddos can finish a fun day of play in this fort bed, Check out all of the other theme beds at Totally Kids. You know she’s your princess, so tuck her snug into her own Princess bed. Now that the little ones are all tucked into their beds, Mom and Dad can begin their long winter’s nap. Reminder: Do not let our name fool you, we have great beds for big people aka: adults. Visit us soon. We’re open 24/7 online. This Christmas there are few little people on our list who will be getting this weekend DIY project. 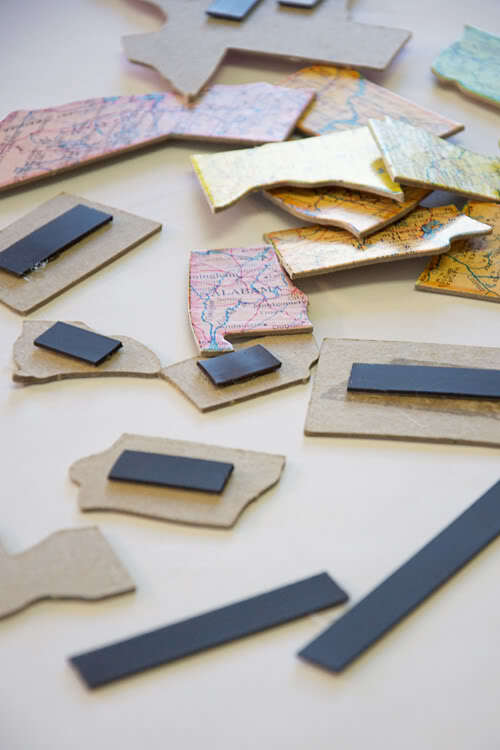 Magnetic states is an idea from Natalme and looks oh so easy to create. 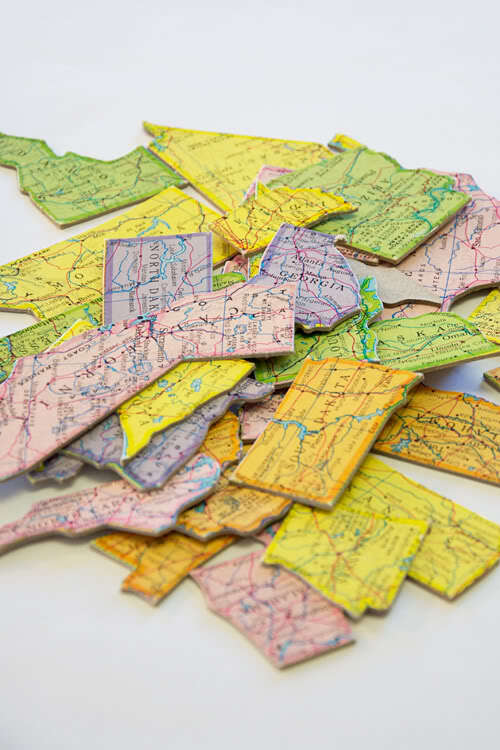 We have a couple of jigsaw puzzles of the United States that will be perfect to upcycle. Next step is attaching pieces of magnetic tape to each state. That’s it, back in the puzzle box and what fun they’ll have putting the states on their fridges. Louisiana’s treat is Creole Gumbo. It can include ham, veal, chicken, shrimp, oysters, and crabmeat. New Mexico has the Empanaditas–little beef pies with applesauce pine nuts and raisins. Hawaii blesses us with Turkey Teriyaki marinated and cooked over an outdoor pit. What is your favorite Christmas meal? Is it a traditional meal that you grew up with? It’s Boxing Day 2017 for our friends to the north of us and for those across the pond. 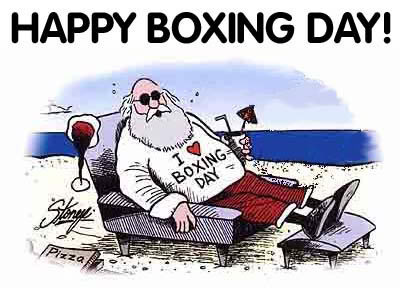 Boxing Day is a holiday in the United Kingdom and many countries (including Canada) that were once part of the British Empire. The origin of this holiday’s name is not exactly clear. During feudal times in the United Kingdom, the lord of the manor would ‘pay’ people who worked on his land in the past year with boxes practical goods, such as agricultural tools, food and cloth. 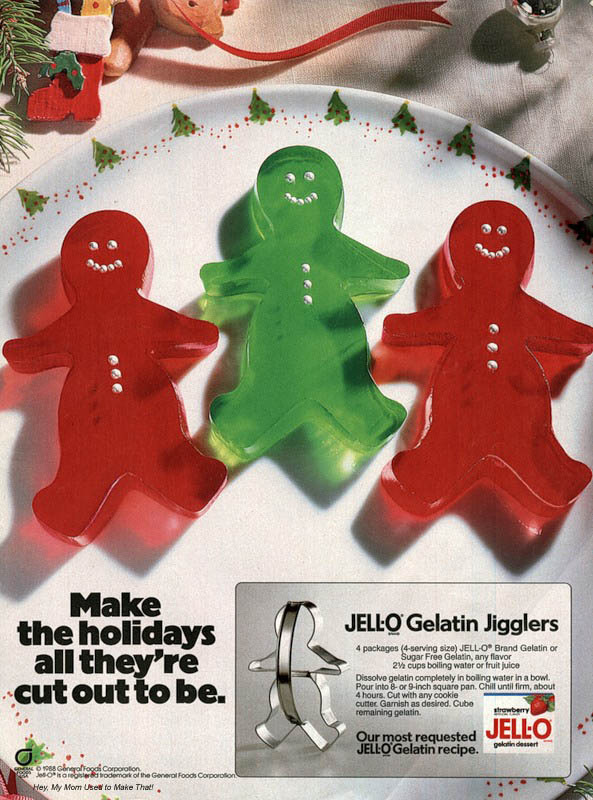 These were often distributed on the day after Christmas Day. More recently, employers traditionally gave their servants a gift of money or food in a small box on the day after Christmas Day. Some people in Canada still give gifts to people who provide them with services. Other stories relate to servants being allowed to take a portion of the food left over from the Christmas celebrations in a box to their families and the distribution of alms from the church collection boxes to poor parishioners. These traditions evolved into the Christmas baskets that some employers distribute to their employees during the holiday season at the end of the year. How will you be spending this day after Christmas? In retail, we head back to our regular business hours. In Germany, the day after Christmas is a public holiday reserved for relaxing. Lucky are those of you who get to stay home, put your feet up and take a break after all of the fast paced festivities of the season. One of our favorite last minute gifts is salt dough ornaments which are so very easy to make. 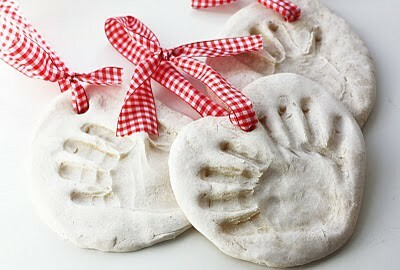 This clay recipe for creating little hand impression ornaments is a fun make together with little ones. We like that it is non-toxic, made of food ingredients therefore safe for kids to play around with and squish, mush and squeeze the dough through their little fingers. It’s great for a quick economical, yet treasured gift for grandparents and other favorite relatives. There may be a new tradition happening at your house too. This clay recipe will harden when left out for a day or two and can then be painted and embellished if so desired. In humid climates it may take several days to dry out. The drying time will depend on the humidity and how large your ornament is. To speed up the drying process, you can put it in the oven at 90 degrees for 30 minutes, then shut off the oven for it to cure. Remember to leave it inside the oven with the door closed. You could also dry it completely in the oven for several hours.